NEW CHANGES ARE COMING TO RECYCLING! Do you recycle? If you do, then you need to know that new changes in what will be accepted are happening now. In the past, we all thought that anything that had a number in a triangle was acceptable to recycle, right? Well, now it’s more about the container than the number. The United States had been sending our recyclables to China for processing but since last year China is no longer accepting them. This means that the U.S. has had to process these items but it does not have markets for all of those recyclables so they are changing what can be accepted. Items that will be accepted or unaccepted can be found on this flyer. Please note that only corrugated cardboard will be accepted – not paper box which means items like cereal boxes, snack boxes, etc. 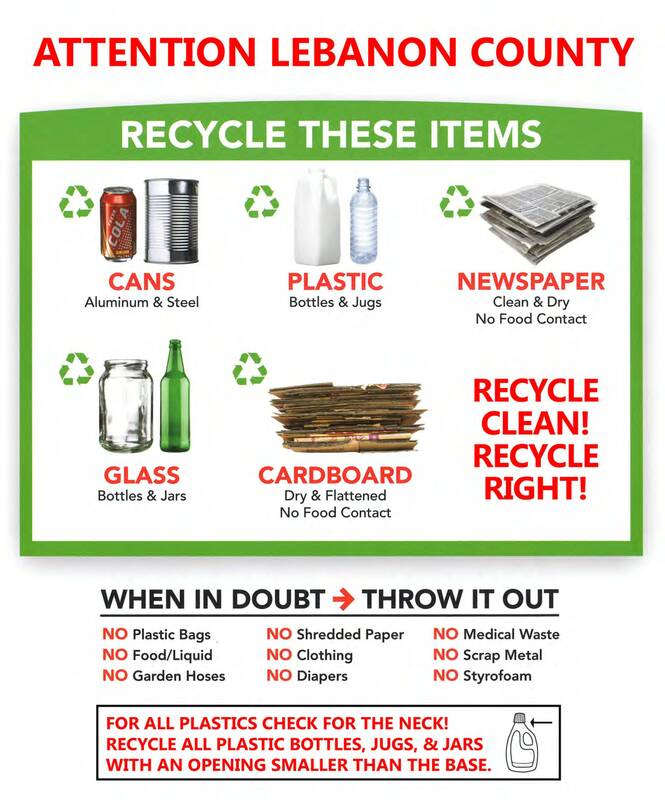 Please also be aware that it is very important that you are recycling right because trash haulers and carriers will be paying attention to what is in your recycling containers. If they contain items that aren’t recyclable, they will place a sticker on your container asking you to only recycle the items listed on that sticker. This will be a big change for those that recycle but don’t get discouraged, you are still helping our community and our environment by recycling. And for anybody that doesn’t currently recycle, now’s the time to get started! If you need a recycling container, call or stop by the Borough Office as we do have some available for residents. If you would like to print out the above informational page, use this link to print out a full size copy.